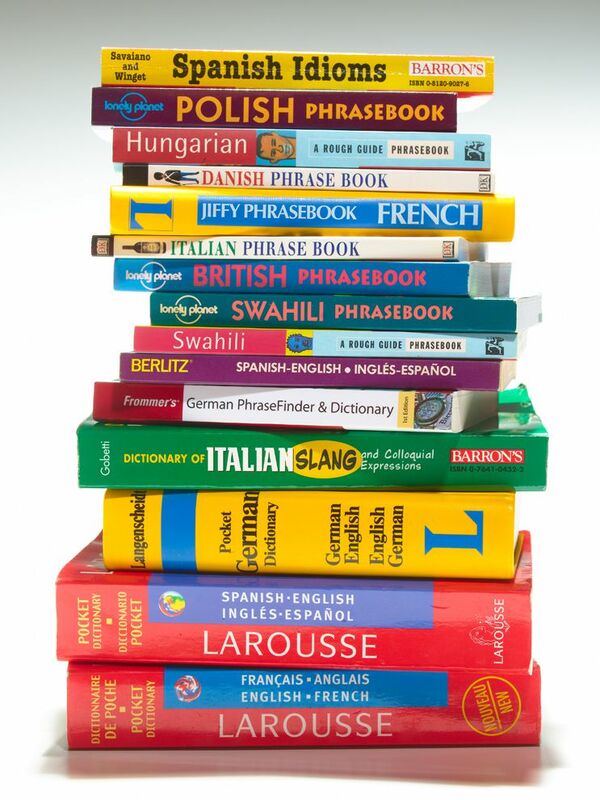 On September 30, 1953, the world first recognized International Translation Day. Understanding more than one language is becoming more common as globalization brings cultures into more direct contact. Some languages, such as English and Mandarin, have gained millions of speakers. Other languages, such as Quechua and Tlingit, have become endangered. On September 30, 1953, the world first recognized International Translation Day. The date was chosen to honor the birthday of St. Jerome, who translated the Bible from Hebrew and Greek into Latin in the late 300s. to stay away from something. to make more complex, difficult, or detailed. person who moves to a new country or region. having to do with more than one country. language of ancient Rome and the Roman Empire. business that manages the production of goods or delivers services in several countries. to discuss with others of different viewpoints in order to reach an agreement, contract, or treaty. to get or take possession of. person who serves as a representative of the citizens of a geographic area to the local, state, or national government. to turn written or spoken text into a different language. version of something in a new or different language from the original. official agreement between groups of people.